There are crazy things being done in Minecraft every single day. People have really taken the fabulous creation Notch and stretched it in directions I’m sure he couldn’t have dreamed of, conjuring up inventions that one wouldn’t even expect to work in a game about building blocks. Like this miniature version of Microsoft Word, for example. Maybe that’s a bit of an oversell, but it doesn’t make this simple word processor any less incredible. 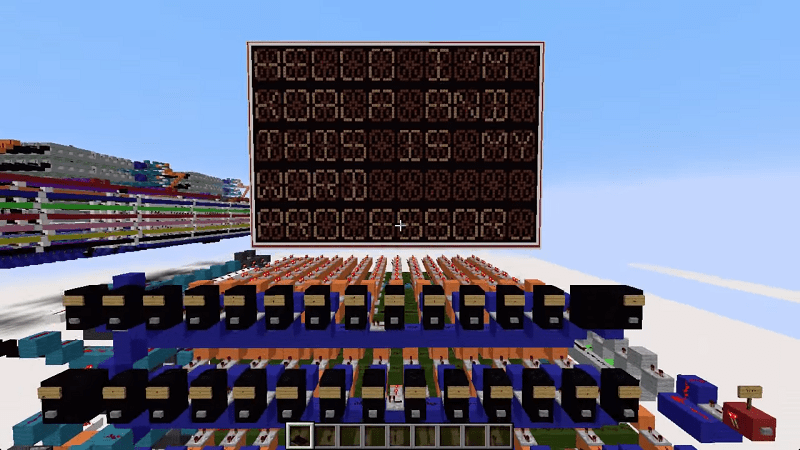 Created by user Koala_Steamed, this brilliant little invention allows users to create 5×10, 50 character limit messages on a cute digital screen, all within the confines of Minecraft. It also is able to load saved files, use special characters and of course go crazy with the caps lock. All of this using a lot of redstone. It definitely looks like a mission and a half to actually operate, but inventions like these fascinate me. This is something I’d never think possible in a game like Minecraft, much like the calculators and fantastic architectural creations before it. It shows just how powerful games can be as a platform, giving creators a new and interesting way to not only express their creativity, but also explore new and highly technical ideas.